After discovering an abscess and finding out the cause, start treatment and possibly a prevention program. The treatment program will depend on the type of abscess your horse has and what your vet and farrier have determined. 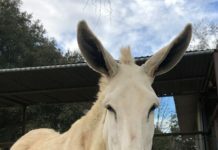 It's important to remember that each approach to treating an abscess is unique and varies from others. My first step in treating a hoof abscess is to gather supplies and medications. This way it's handy in the barn aisle or stall. Note: If your vet has prescribed antibiotics and Bute, follow your doctor's instructions as long as the abscess has blown and you are seeing drainage. After gathering all your supplies, clean the hoof gently using a hoof pick and squirt hydrogen peroxide in the infected area. Make sure the pus and debris is cleaned out thoroughly for soaking. Next, place the Soaker boot on your horse and fill the boot with Epsom salt, betadine and hot water. Soak the hoof for about 10-15 minutes once a day for 3-4 days. If you can't soak the horses foot, use an Epsom salt poultice. Put a generous amount around the abscess/hoof, wrap and then leave on for 24 hours. Repeat for 3-4 days. Once you have soaked the hoof, keep the hoof dry and clean. 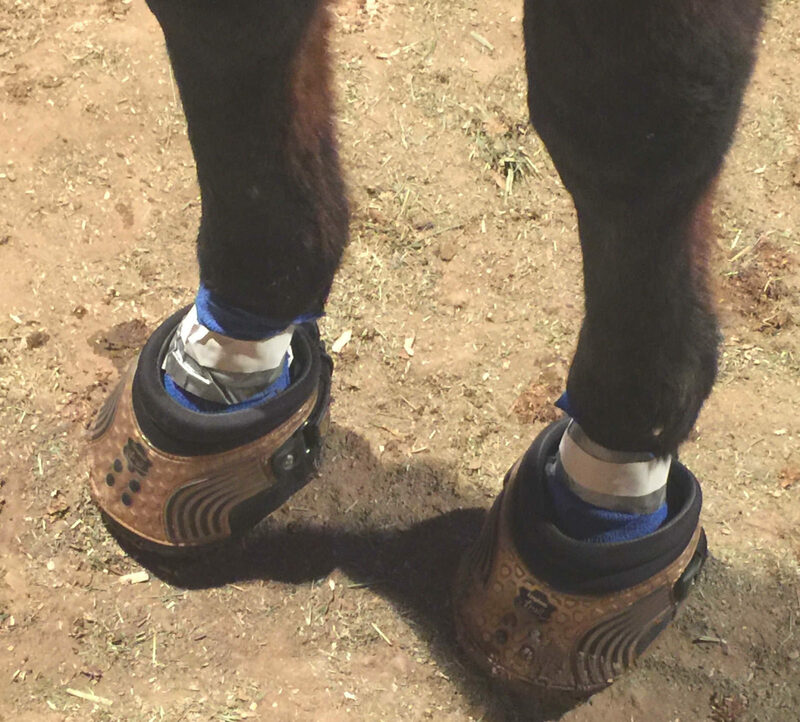 For my horse Summer Flame, I also packed the hoof with betadine/Epsom salt soaked gauze. I wrapped it with duct tape and vet wrap for 3 days until I could put her out with the other horses in boots. 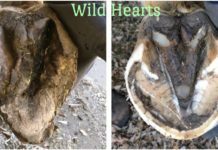 Keep the hoof clean, packed, and bandaged for several days, depending on how long it takes for the lameness to disappear. 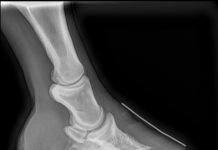 If the infection is deep in the hoof, the process of eliminating the infection and relieving the horse of pain will take longer. 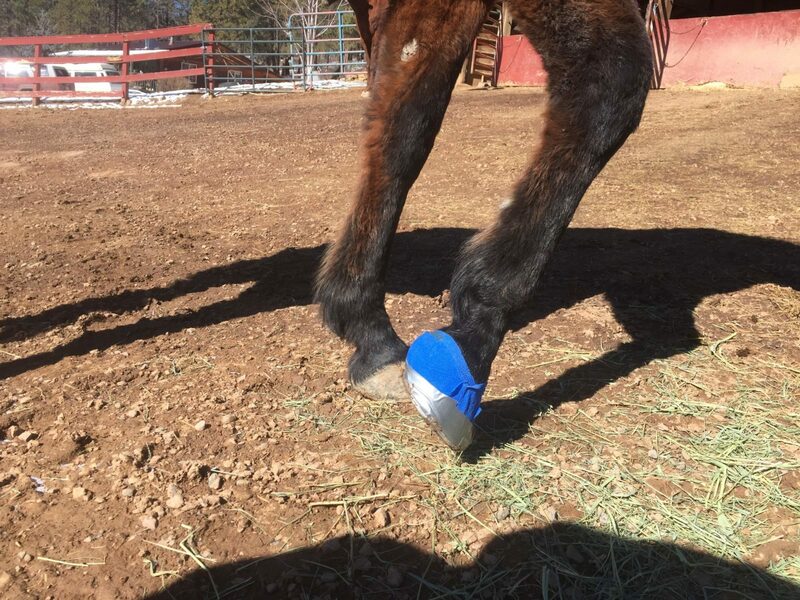 In Summer Flame’s case, because the abscess was slow to heal and she still had swelling, I stopped wrapping her hoof and put her in the Easyboot Trails with medicated padding. I also continued with her prescribed antibiotics. She did very well turned out 24/7 in the boots. I checked them once a day to make sure they were staying on and not causing additional issues. She wore them for another week until the vet gave the "okay" for them to come off. Note: if you leave the boots on for long periods of time, add Gold Bond Powder or a copper sulfate mix to prevent bacteria growth. In addition, keeping your pastures and paddocks clean as well as not over bathing your horse should reduce the risk of abscess development. If you have rocks in your paddock, removing them can help keep your horse from a stone bruise, which can lead to an abscess. No matter how much you take preemptive steps to ensure no abscesses, there still might be a day when one does appear. Stay calm and act promptly in consulting your veterinarian and farrier. Be prepared and have the provisions you will need on hand to treat the problem.